The International Foundation Programme is ideal if you are looking to study an undergraduate degree in Computing, English Language, Law, Media Production, Psychology or Sport at Northumbria University but don’t currently meet the entry requirements. The programme is specifically designed to provide you with the knowledge and abilities to succeed in your future studies. Taught over 2 semesters, you will develop your English language, academic and study skills and be introduced to academic culture in the UK. 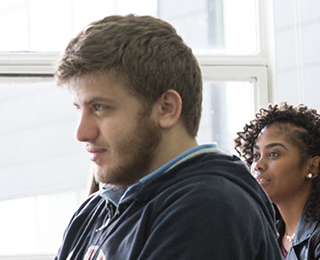 Upon successfully passing this programme (subject to progression requirements) you will be guaranteed a place on one of our undergraduate degrees. The programme is taught over 2 semesters with modules that are designed to prepare you for successful study at undergraduate level in a broad range of subjects at Northumbria University. The modules are designed to build your English language abilities and core academic skills in reading, critical analysis, essay and report writing, and grammar, and to also develop your intercultural understanding through global studies. You will also discuss weekly topics of global studies across two modules to develop a broad understanding of core issues and how they can affect business. You will discuss topics of global studies across two modules to develop a broad understanding of core issues and how they can affect business. In addition, you will cover the key aspects of applied mathematics and ICT, enabling you to perform at the level required in your chosen undergraduate degree. Studying this programme both academically prepares you for undergraduate study, whilst providing an excellent opportunity to develop your awareness of academic culture in the UK and intercultural issues to help you successfully integrate into student life within a UK university. The intercultural skills that you develop during this course can prove to be a useful employment tool in the future with many businesses operating in global marketplaces. To support you in your transition into studying at a UK university, each of your modules will be taught by our experienced academics who have all helped many international students throughout this experience. They will work with you to help build your confidence to participate in lectures, seminars and group work, whilst offering you the opportunity to develop your independence. You will also be allocated your own Guidance Tutor with whom you will have 1-2 hour weekly tutorials and who will support your individual academic and general study needs throughout your course. Teaching and learning is carried out through seminars, lectures, tutorials and workshops, totalling around 15-18 hours, plus 1-2 hours for academic tutorials, per week. In addition, you will be expected to spend 15-20 hours a week on independent study through self-directed learning. Teaching and self-directed learning also makes use of the University’s electronic learning portal (Blackboard) where you will have access to a range of learning materials and you will be encouraged to use the technology in preparation for your future studies. 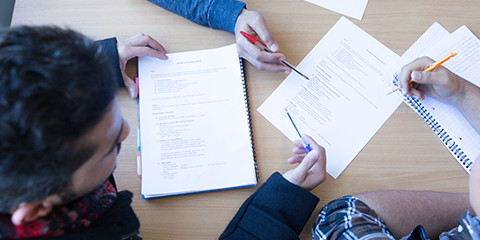 Assessment will take place through a mix of group presentations, oral examinations, written assignments and exams. In addition to this, you will be allocated a guidance tutor at the start of the programme. Your guidance tutor is your first point of contact for anything outside of the classroom that affects your learning. You will meet your guidance tutor at the start of each semester for a formal meeting. In-between this you can arrange to meet them at any point and they may also contact you if they need to meet you. All conversations with the guidance tutor are confidential and they will always be the first point of contact should you need them. Upon successful completion and subject to specific entry requirements, you can go on to study a range of undergraduate degrees at Northumbria University. To progress and be eligible for entry on to our undergraduate degree programmes you must achieve at least 50%* in your foundation programme. Use the table below to compare pass rates with UCAS tariff points. For example, if you achieve a 50% pass mark then you can go on to study programmes that require 112-120 UCAS tariff points. * Pass rate varies dependant on chosen route of study. BEng Engineering courses require 65% from the Maths module for progression onto undergraduate level study. To progress on to our Law courses, you will need IELTS 5.5, or equivalent, when you apply for your International Foundation Programme. This module aims to develop a range of mathematical knowledge and concepts useful for undergraduate study. Students will be taught with practical exercises including work using Microsoft Excel and have guidance from the tutor. The elements of mathematics taught have been designed to meet the demands of undergraduate study on a range of programmes including dealing with quantitative data. The module itself is diverse in elements covered including core mathematical functions and statistics. Mathematics is applied to examples and different contexts in order to make it relevant and more applied than just theoretical. In the second semester, students engage in a statistics project based upon real-world data and produce analysis based upon this. Enquire now to find out more information about this course, studying with us, the application process, and to have any other questions you have. 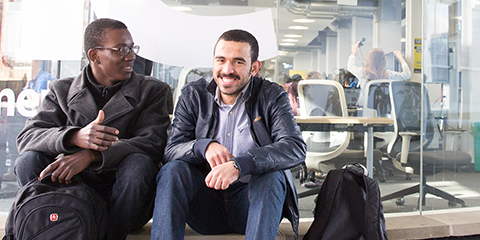 When you are ready, you can apply online to study the International Foundation Programme. Applying online allows you to upload all of your supporting documents and you will automatically receive your student application number. When applying you will need to choose the undergraduate degree course that you intend to progress on to after your International Foundation Programme and you must state this on the application form. If you are accepted you will receive one offer letter for the International Foundation Programme followed by the appropriate degree programme. Once you have successfully completed the International Foundation Programme and achieved the required grades, you can gain direct admission onto your chosen degree at Northumbria.